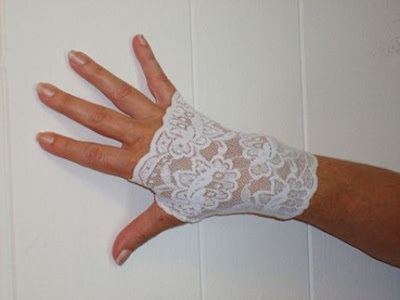 When I was a little girl I had a pair of white lace gloves, which I would wear with my frilly dresses to church on Sundays. I didn't just reserve them for Easter Sunday either. 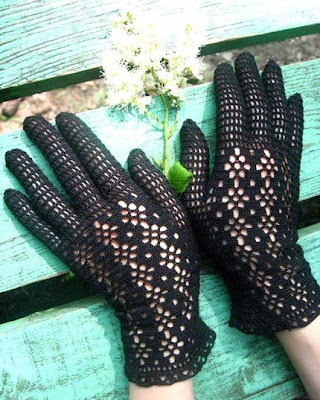 I loved my lace gloves. 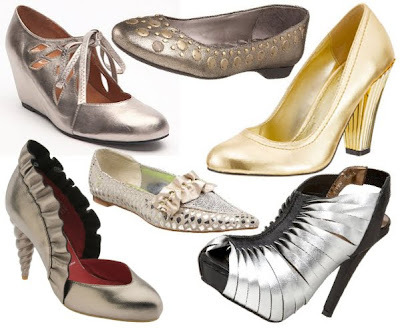 (Even more, I loved carefully taking them off and placing them in my little strawberry purse before taking out my dime to put in the offering plate). 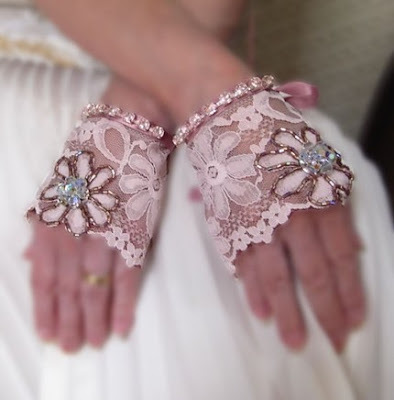 Now, I need an adult size pair of lace gloves to add that same dainty, feminine feel to the frilly dresses I still love to wear. Which gloves do you fancy? 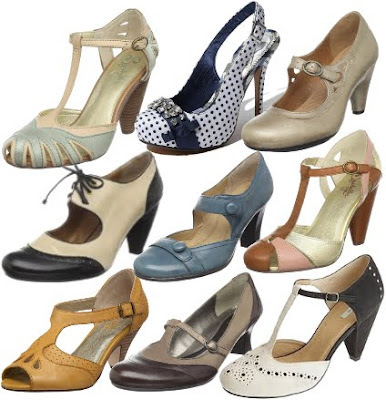 I want the lace up gloves without the trim. I'm surprised by your poll results! I voted for the last ones, by the way. Gah! 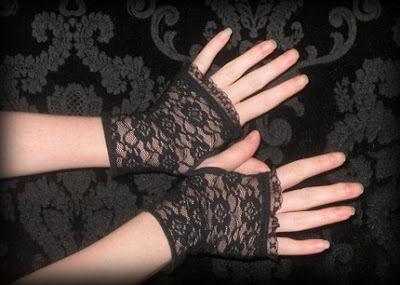 I just checked the store and saw etsylissmo has gobs of corset gloves without trim. Money, stay in my pocket! I command you!